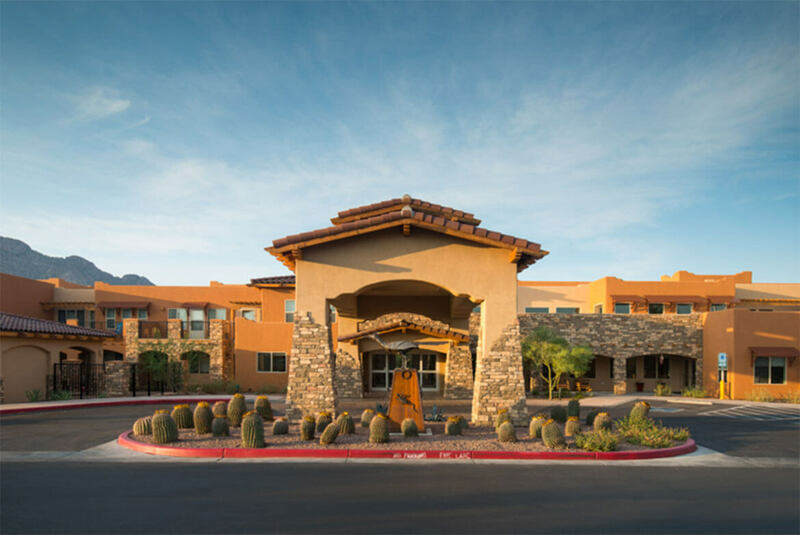 The Desert Springs retirement community places seniors’ quality of life at the forefront of the design process. 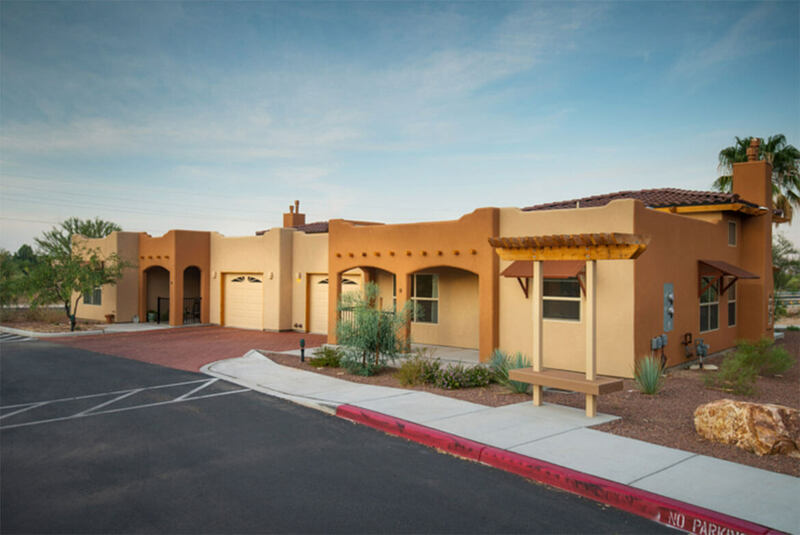 The goal of the project was to create a stimulating retirement community that complimented the Southwestern landscape while encouraging whole mind and body health for its residents. In an effort to create a stimulating and engaging environment, the interior and exterior of the facility is designed to encourage people to venture out of their rooms. The entire building is intended to feel like home–activity and common areas are thoughtfully placed in an effort to draw people out, encourage movement, and engage with others in conversation and activities. The theater room with its comfortable theater style seating, the sophisticated bistro and coffee bar and pool appeal to an active lifestyle enjoyed among friends. 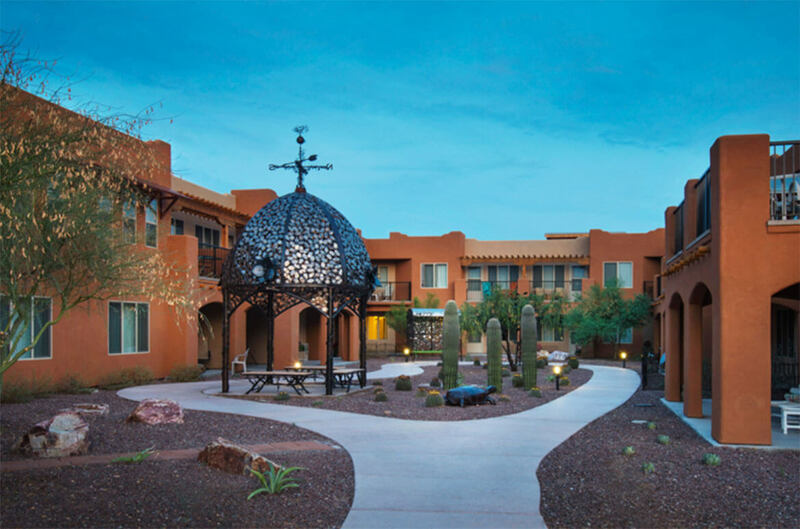 Artfully designed and landscaped walking paths wind through and around the property. 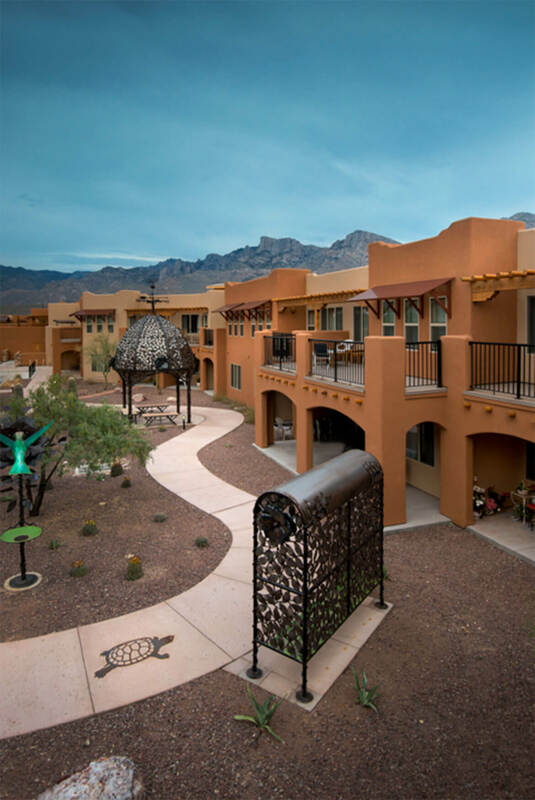 Residents can enjoy a private walk alone or with a companion in the comfort of knowing there are resting areas conveniently peppered along the way. Iron swings, trees, animals, gazeboes, and iron work embedded in the concrete adorn the entire property and invite residents to explore and discover. This 125-unit retirement community is complimented by seven cottages a short distance away from the main building. 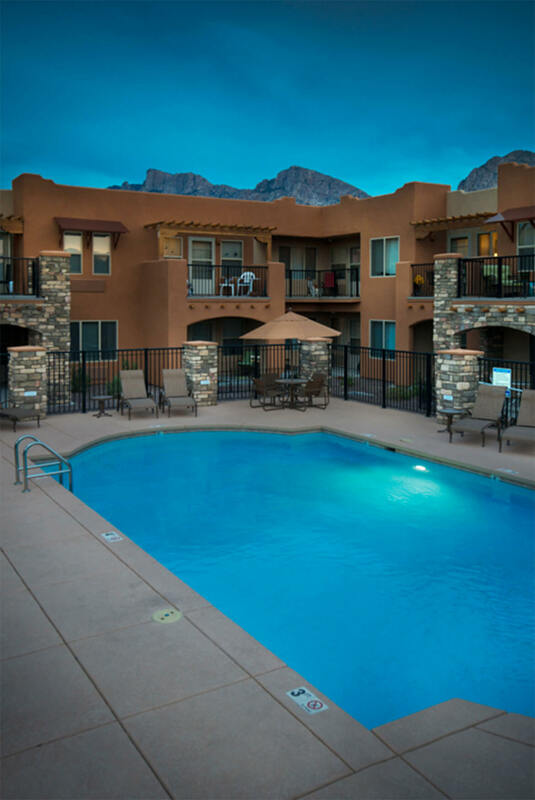 The cottages offer residents additional privacy and independence while common areas and walking paths encourage exercise and a sense of community between buildings.